As England moves into the 1960s, Elizabeth comes into her own as queen. We saw this beginning to take form at the end of season 1 (read my review here or Katie’s take here), but after almost a decade and three prime ministers, she’s grown up quite a bit. Royal life is not without its troubles, though, and season two continues with the rocky marriage of Elizabeth and Philip, the scandals of Princess Margaret, and balancing her role as queen and her role as a woman. New conflicts arise with the threat of war in Egypt, public backlash against Elizabeth’s reign, plus the war between progress and tradition. Tune in to season two of The Crown on Netflix by checking out one of our rokus to see the Kennedys, a bad haircut, Matt Smith’s brilliant beard, and a whole lot of period drama. This entry was posted in Jez and tagged drama, history, tv show on February 2, 2018 by jamiea. For anyone obsessed with Britain’s royal family (like me! 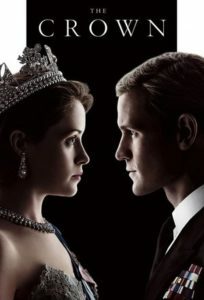 ), The Crown is a perfect blend of drama and actual history, creating a highly enjoyable television series. The first season of The Crown covers the years 1947-1955, which includes famous events such as Princess Elizabeth’s marriage to Philip, King George VI’s passing, and Queen Elizabeth’s coronation. But there are also a fair amount of things I had no idea happened in England, like the Great Smog of 1952. 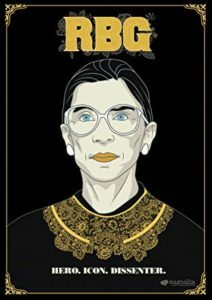 I spent a lot of time after episodes doing research and now you don’t have to; a companion book was released that documents the differences between series and true history. If you’re waiting on the third royal baby to be born in April or Prince Harry and Meghan Markle’s marriage in May, this is a fabulous way to pass the time! 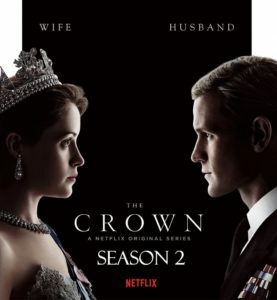 Watch season 1 of The Crown on DVD or borrow a Roku to stream it via Netflix. Stay tuned—next week, Jez reviews season 2. This entry was posted in Katie and tagged drama, history, tv show on January 26, 2018 by jamiea. This entry was posted in Mary P. and tagged drama, history, tv show on July 28, 2017 by jamiea. 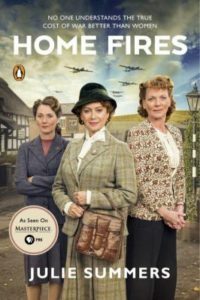 This entry was posted in Debbie and tagged biography, history, miniseries, tv show, war on November 29, 2011 by jamiea. 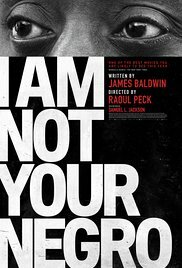 This entry was posted in Debbie and tagged documentary, history, religion on April 19, 2011 by jamiea.